PARTNER NEWS: Coca-Cola owned Glacéau Smartwater has launched a campaign to send on-the-go recommendations to Londoners’ smartphones using Bluetooth Low Energy (BLE) beacons provided by digital payment solutions provider Proxama. It will be live until the end of September. “From the tastiest brunch in Chelsea to the trendiest pedicut in Hoxton, the Glacéau Smartwater campaign aims to distill the very best bits of London into on-the-go recommendations for busy Londoners,” Proxama says. The app was introduced in May 2016, allowing commuters on some 500 buses to receive real-time travel updates and relevant location-based advertising directly on their smartphone. 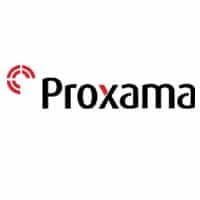 Proxama PLC, the leading mobile proximity marketing expert, announces that Glacéau Smartwater, owned by Coca-Cola, is the latest brand to utilise their proximity products and services. Glacéau Smartwater has commissioned an engaging new out of home campaign that uses Proxama’s beacon technology to share tips from influential Londoners, with members of the public. Launched on 12 September, the outdoor campaign, alerts users in the nearby proximity and will be live until the end of September. From the tastiest brunch in Chelsea to the trendiest pedicure in Hoxton, the Glacéau Smartwater campaign aims to distill the very best bits of London into on-the-go recommendations for busy Londoners. The adverts, located in areas within Chelsea and Hoxton, will alert consumers to check out top tips from London based influencers, including blogger Reem Kanj and stylist Roxie Nafousi. Smartphone users with Mapway’s Bus Times London Android app installed will receive a push notification encouraging them to click and discover top recommendations in the area.